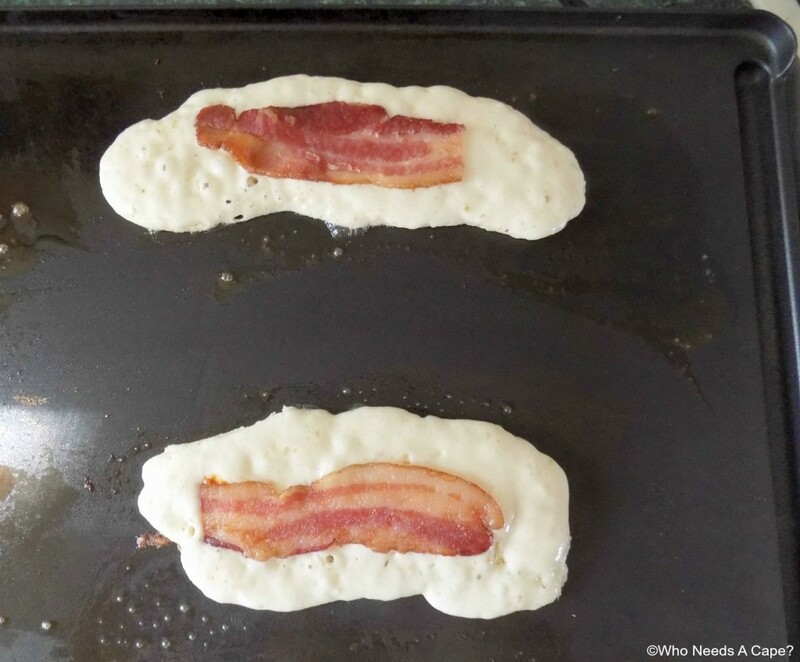 Pancake Bacon Dippers | Who Needs A Cape? 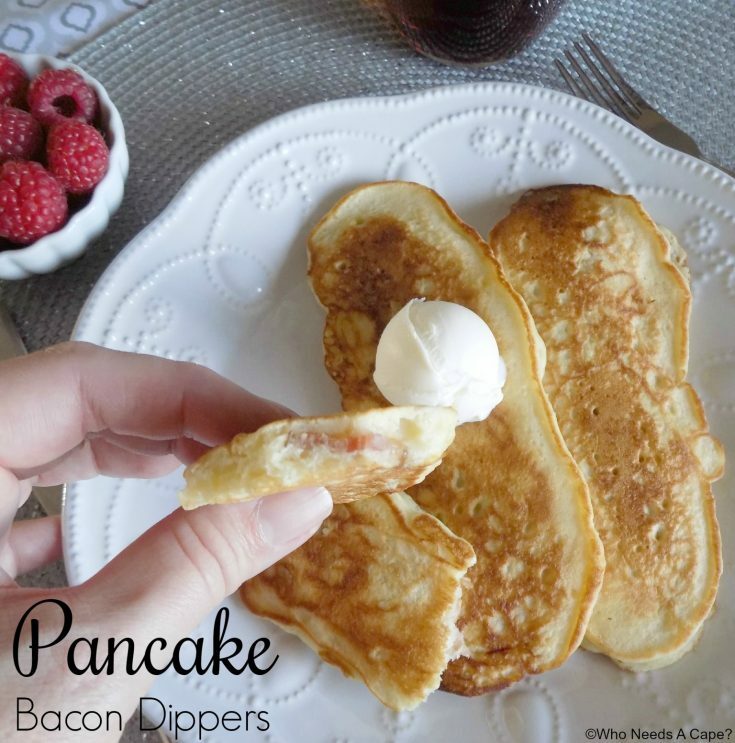 Pancake Bacon Dippers are a fun way to enjoy pancakes and bacon at the same time. 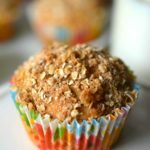 Perfect for holiday breakfast, or brunch, kids gobble them up. I wanted to plan a special meal for the holiday season. Nothing sets off a fun family holiday better than an amazing breakfast. How can you start your fun day without a terrific meal? Honestly, pancakes and bacon are a match made in heaven. 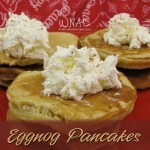 So how about the bacon in the pancakes? Um yes yes, please! 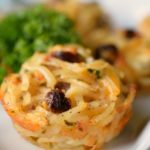 My kids could finger food it – dipping into their syrup and that’s exactly how they like to eat! 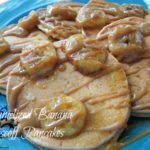 And I would be letting them eat pancakes with their fingers – that makes it special! 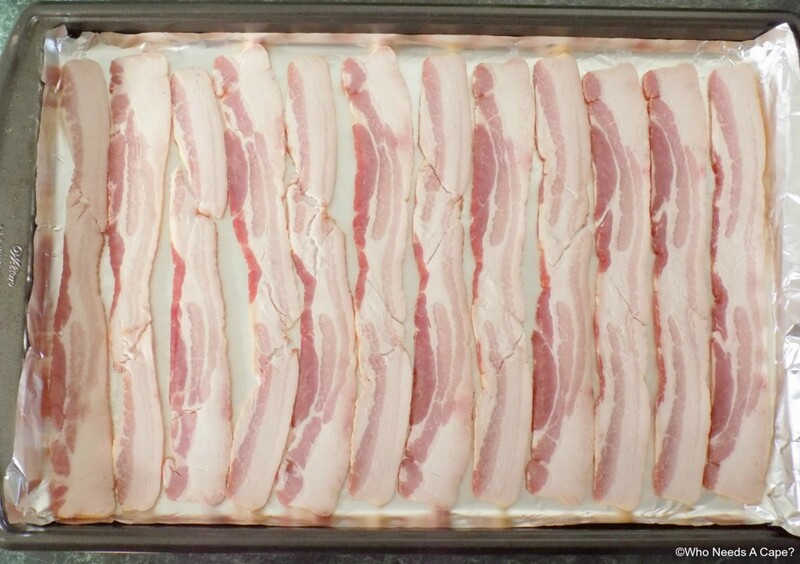 To prepare bacon in the oven: Line a baking sheet with aluminum foil. Place strips of bacon on aluminum foil with a slight space between strips. 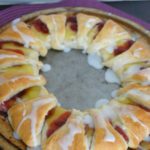 Place into a non-preheated oven. Set oven to 400° degrees, bake for approximately 20 minutes (for thick cut bacon).Remove from oven, allow to cool and enjoy. In small bowl combine milk and vinegar, stir. Allow to sit for at least 5 minutes to curdle. Add in egg, melted butter, and vanilla. Stir to combine. In a large bowl add dry ingredients, stir. Pour in wet ingredients and whisk until lumps are gone. Heat griddle to medium-high heat. Lightly coat with butter. 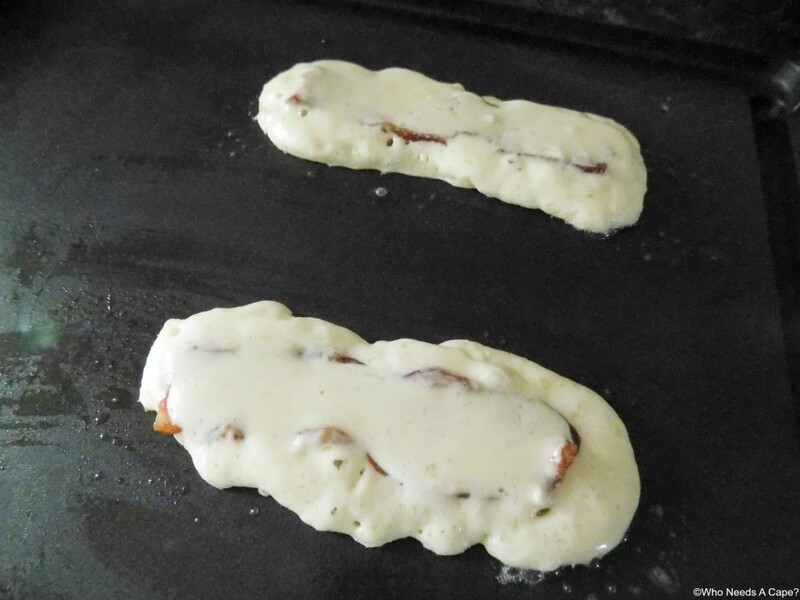 Spread pancake batter in a rectangular shape, lay 1/2 slice of bacon on top. 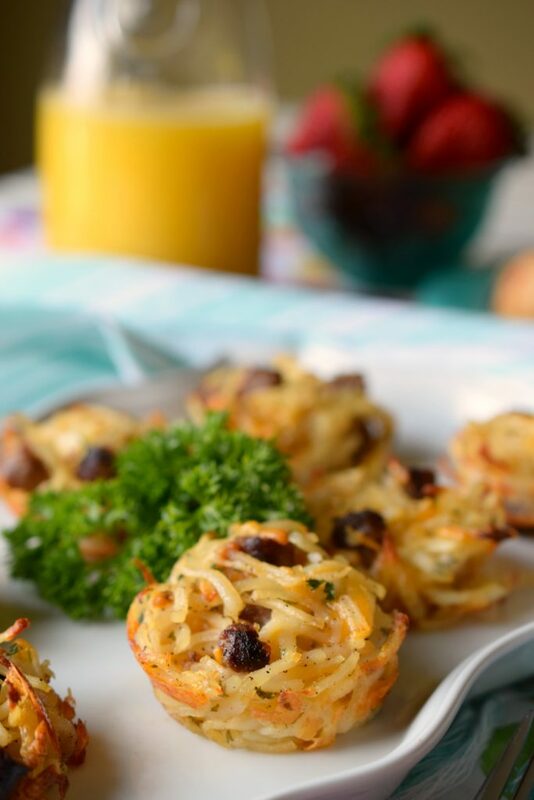 Lightly top with a small amount of batter to cover bacon. 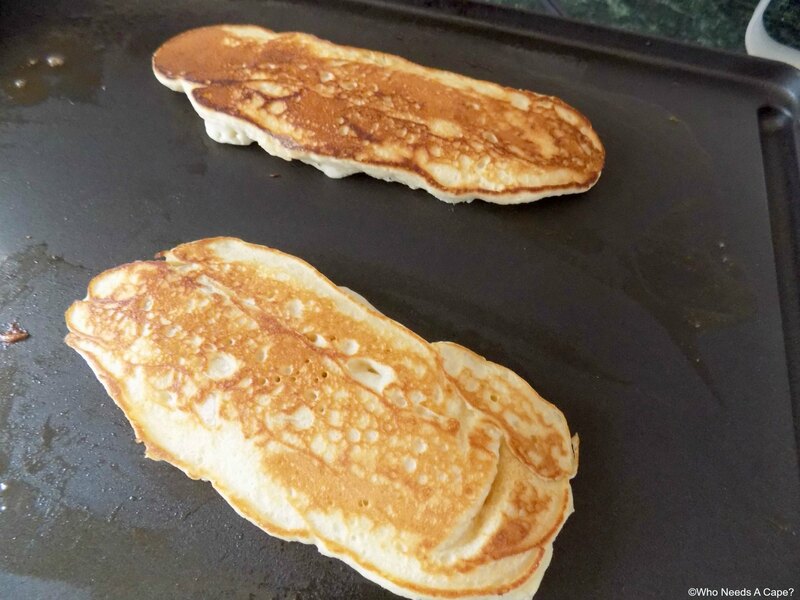 Cook until bubbles appear on surface and then flip with a spatula. Cook on other side. Remove from griddle. In small bowl combine milk and vinegar, stir. Allow to sit for at least 5 minutes to curdle. Add in egg, melted butter and vanilla. Stir to combine. In large bowl add dry ingredients, stir. Pour in wet ingredients and whisk until lumps are gone. 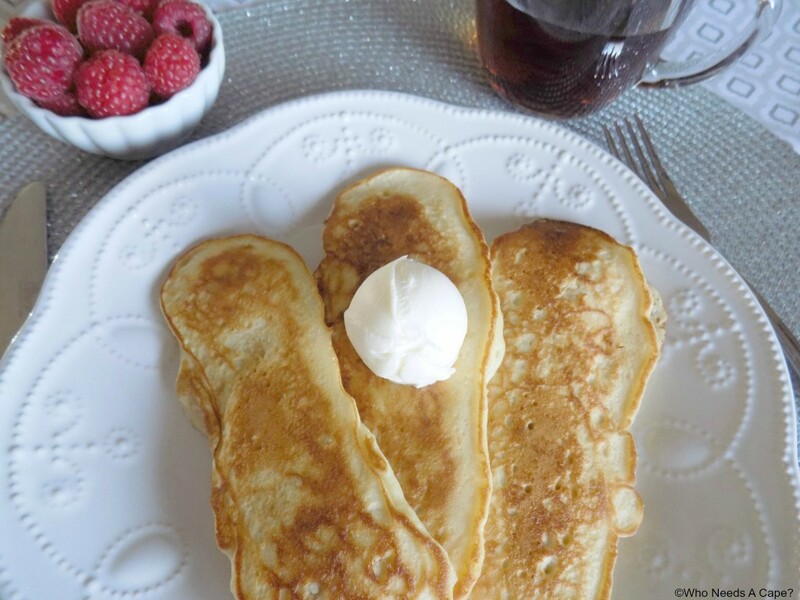 Spread pancake batter in a rectangular shape, lay 1/2 slice of bacon on top. 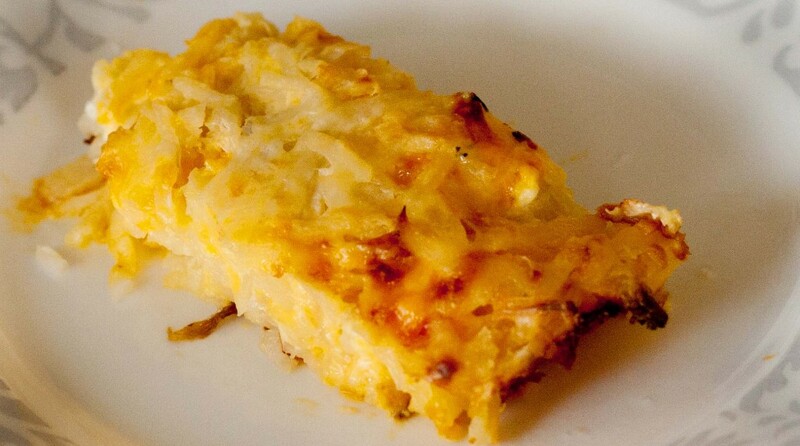 Lightly top with a small amount of batter to cover bacon. Cook until bubbles appear on surface and then flip with spatula. Cook on other side. Remove from griddle. 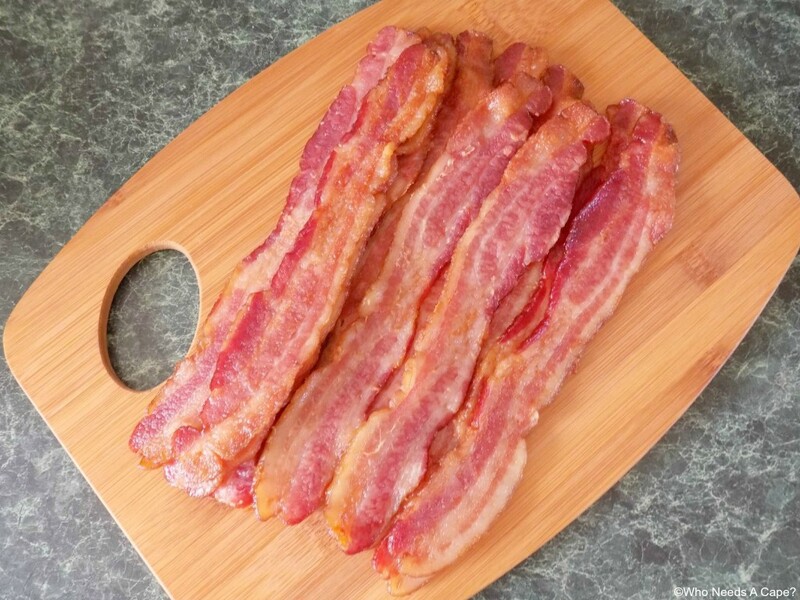 To prepare bacon in the oven: Line a baking sheet with aluminum foil. Place strips of bacon on aluminum foil with a slight space between strips. 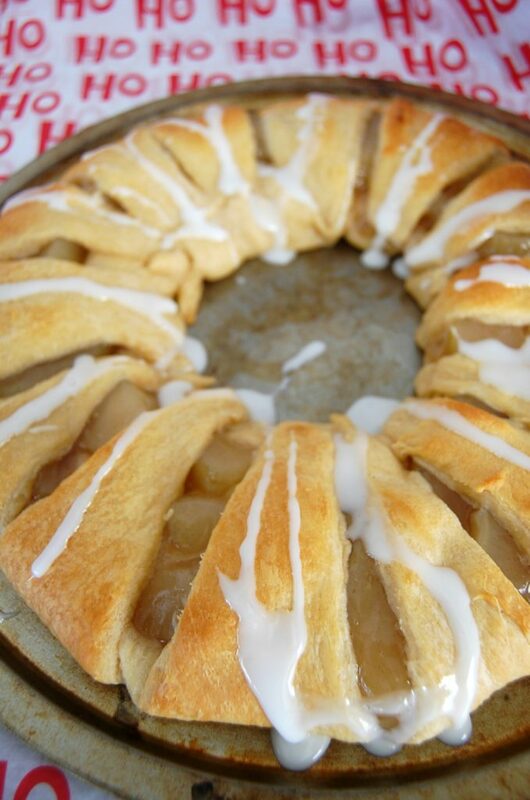 Place into non-preheated oven. Set oven to 400° degrees, bake for approximately 20 minutes (for thick cut bacon). Remove from oven, allow to cool and enjoy. PINNED! So creative, wishing I had thought of it! Thanks for sharing!